With upcoming elections all over the world and the spread of fake news that has been taken to a whole new level, WhatsApp introduces new privacy control for its users. The privacy update applies to the group chats, as they are supposed to be the main tools to spread fake news. Besides other social media platforms, that are also trying to stop the phenomenon and to give accurate information to their users. Besides being used to communicate with friends and family, WhatsApp groups are also used to spread news and keep in touch with other people. This could be the reason why WhatsApp is giving its users more control on which groups they join and why. 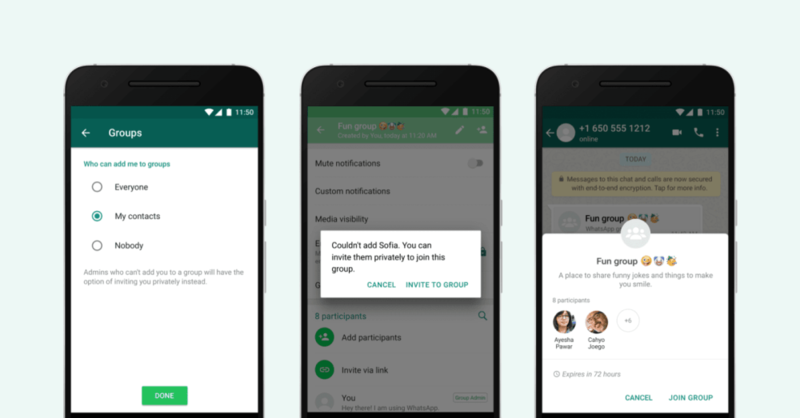 If you don’t want to be automatically added to a WhatsApp group, you can now control which groups you are added to. – “Everyone” – nothing changes from what it has been before and you will be automatically added to groups by users you do or do not have in your agenda. In the first two cases, the user that wants to add you to a group will have to send you a private invitation which will give you the choice of joining or not joining a certain group. The invitation is available for three days before it vanishes. The new feature started rolling out recently and will be available worldwide in the following weeks. What do you think about it? Do you think this will stop the fake news spread?